Flipkart is now officially looking to plug the biggest hole in its portfolio, and become a more comprehensive match to arch-rival Amazon India. 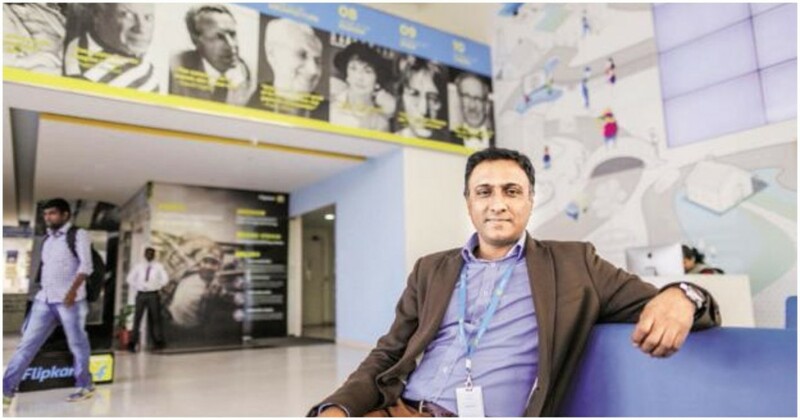 Flipkart is looking to get into video streaming, CEO Kalyan Krishnamurthy said in an interview. “Our customer segment today is heavily skewed towards 18-35 age group, and that audience watches a lot of video, both in terms of time spent, frequency, and it is disproportionately high,” he said. “Do we want to have a partnership with leading players in the industry to offer some of the services in video? We probably want to do that.” He added it could be in the form of acquisitions or partnerships. These comments are going to fuel the rumours that Flipkart is looking to get into a partnership with Hotstar — in September, it had been reported that Flipkart was looking to pick up a stake in the video streaming company. Back then, the talks had been reported to be in a preliminary stage. Flipkart and Hotstar, though, have been collaborating in the past — in September last year, Flipkart had offered a discounted Hotstar subscription with its Festive Pass, which seemed to be an early experiment to take on Amazon Prime. That hadn’t been all — in July, Flipkart and Hotstar had jointly announced a new video ad platform called Shopper Audience Network. Developed by Flipkart, the platform would use data gathered through customer purchases on Flipkart to show video ads on Hotstar. Flipkart had the purchasing history of millions of Indian customers, and could have used this data to serve more targeted ads to the same customers when they were watching videos on Hotstar. This had seemed like a fairly deep collaboration — Flipkart would essentially be sharing its customer data with Hotstar, and help it serve better ads. But Kalyan Krishnamurthy’s also said that Flipkart will launch a content service in two years, and this timeline might hint that Flipkart could be looking to develop a solution of its own. Had it been looking to partner with Hotstar, it wouldn’t likely take two years for the partnership to go through. However, the Flipkart CEO conceded that content wasn’t really its cup of tea. ““We are not a content company as a DNA,” he said. Whether Flipkart creates its own content play from scratch or teams up with Hotstar or some other player, Krishnamurthy’s statements suggest how vital video content will be if Flipkart aims to compete with Amazon. Flipkart and Amazon have roughly similar product portfolios, roughly similar prices, and roughly similar delivery times, but where Amazon scores over Flipkart is its video offering in Amazon Prime Video. Amazon Prime doesn’t only come with its e-commerce benefits, but has Amazon Prime Video bundled in. This makes customers not only more likely to sign up with Amazon, but once signed up, also order more often from their site. Flipkart, for all its holidays sales marketing blitzes, can’t compete with a repeat order generator like Amazon Prime. Flipkart’s management clearly realizes this, and is looking to create its own content play. But Flipkart will need to hurry — Amazon’s already drawing in Indians into its ecosystem in droves, and the longer Flipkart waits, the harder it might be to for it to draw customers back into its fold.